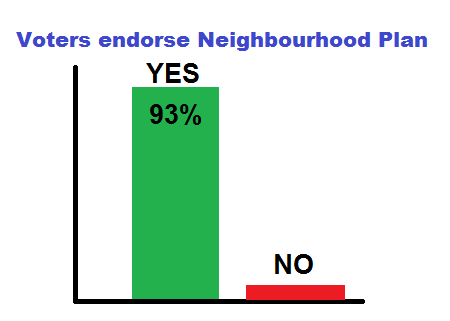 We are delighted to report that 93% of local voters have endorsed the Thakeham Neighbourhood Plan! Once adopted and ‘made’ by HDC, the Plan becomes part of the framework of district planning guidance, against which future development applications will be judged. Sites not identified for development in the Plan will be much less likely to be approved. The Parish Council extends its thanks again to the members of the Thakeham Neighbourhood Plan Development Group, whose hard work over three years has led to this successful outcome. Total voter turnout at the 22 March 2017 referendum was 460 (23%).